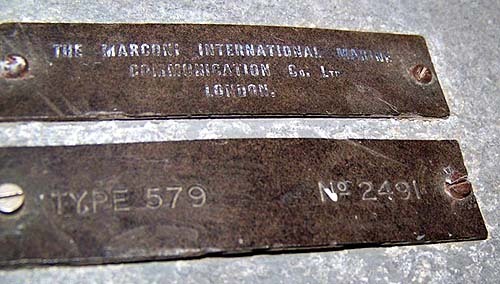 The DFG 12 (Mk1) was a HF, Adcock type, direction finding set manufactured by the Marconi Company (UK) and primarily used by Special Wireless sections. Mk 1 was a transportable set used in conjunction with Adcock Aerial No. 2 which comprised of 20 foot masts. The version used by the British Army was designated as Reception Set R104. Frequency range was 1.5 to 20 MHz. 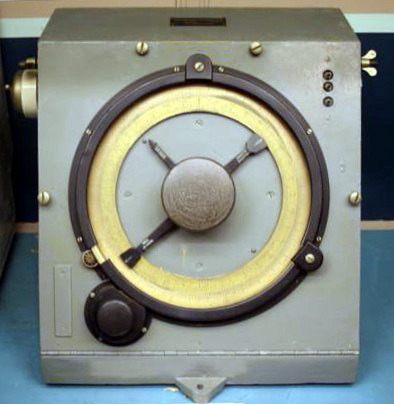 The Mk.2 model was similar, but was intended for use in fixed station applications. As it result, it used 30 foot masts. Following that set, was the Mk.3 model which was also intended for use as a fixed station. 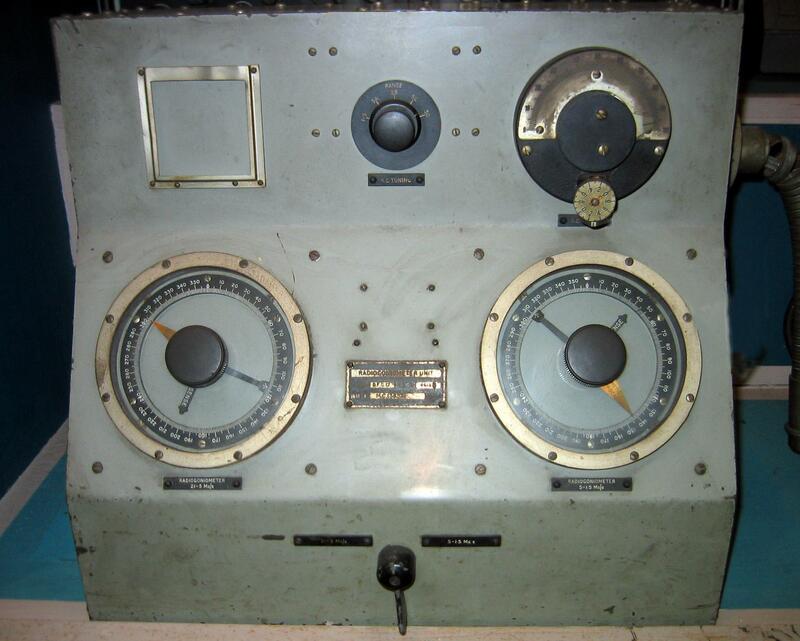 It was provisioned with new features such as spinning goniometers and a cathode ray tube as an indicator of bearing. Supplied with the unit was an Adcock aerial system which consisted of four vertical aerials which were installed on the corners of a square with diagonals of 20 feet (for Mk.l) or 30 feet (for Mks.2 and 3). A fifth aerial, used to derive the 'sense' of the bearings was centrally positioned and the lead-in connected to the goniometer which was in the centre of the aerial system. It was normal practice to place the aerials on N-S and E-W diagonals. In the product literature, it was found that the sets were declared obsolete in 1945 and replaced by other portable and mobile DF systems. 1940: The original DFG12 DF set, Mk 1. It was a conventional superheterodyne receiver using an RF stage, mixer, separate local oscillator, two IF stages, detector, AVC amplifier, AF output amplifier and a BFO. Model DFG12-2. 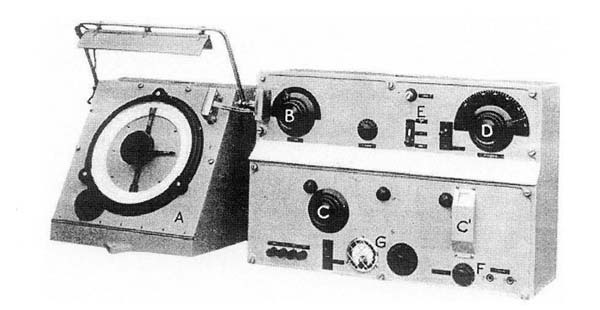 The Mk 2 variant used the original DFG12 design but only one goniometer wa provided instead of two. Frequency coverage was 250 kHz to 545 kHz. 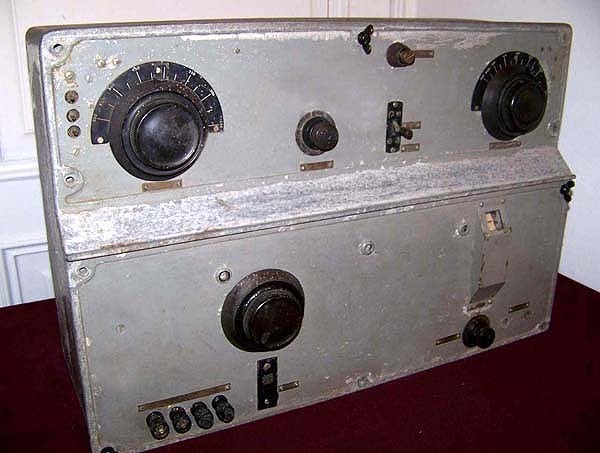 The actual device did not have those huge letters marking the panel and knobs. Model 579. It covered 260 to 545 kHz and was designed for use with a crossed loop aerial system. It shared the same goniometer as the DFG 12 Mk 2.